Calling all families! 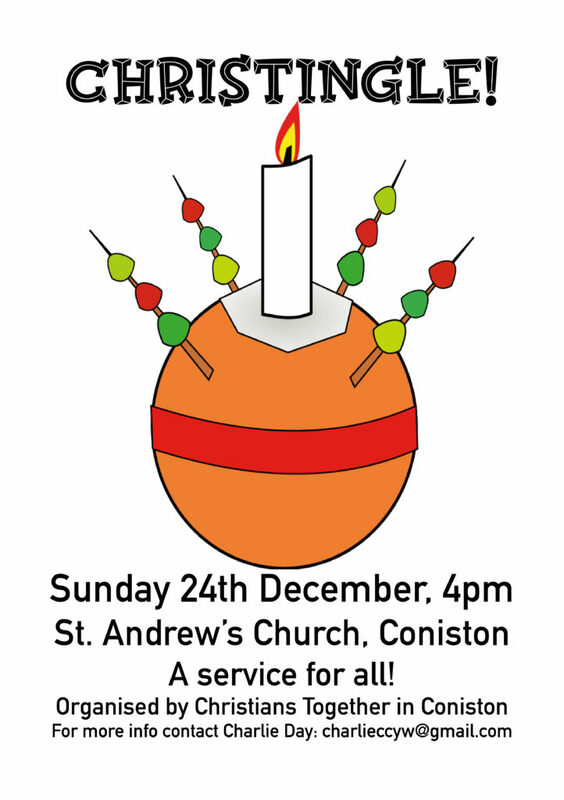 Christmas eve, 4pm our Youth Worker Charlie Day will lead a celebration of Christingle at St Andrew’s church. Dare Holland will lead a late evening communion service at 11 pm the 24th taking us to midnight. Christmas morning worship begins at 10 am on the 25th with the Rev David Bickersteth leading a service of Common Worship Holy Communion. Morning services on Sunday the 24th are being held in the Methodist chapel at 11 am. This entry was posted in Uncategorized on December 22, 2017 by angelweb.